Looking for A Skilled Colorado Springs Criminal Defense Lawyer? Your case will always be personally handled by Brian B. Boal, a highly skilled and experienced lawyer and former El Paso County deputy district attorney who has a working knowledge of the complex criminal justice system on local and statewide levels. He provides knowledgeable, aggressive representation for his clients during plea bargaining, motions practice, jury and court trials and sentencing, in probation and post-conviction matters, and all related criminal litigation. He will put his in-depth knowledge of criminal law, criminal defense and Colorado’s criminal justice system to work for you, building a strong defense to maximize your opportunity for a successful result in court while protecting your rights and working to reduce the harsh consequences of a conviction. If you have been arrested for a crime, the mental and emotional strain can sometimes be the worst part of the entire ordeal. Other attorneys sometimes forget that what is a routine criminal case for the attorney is anything but “routine” for the client, and that criminal cases are foreign, confusing and highly stressful for the charged defendants. Boal Law Firm, PC, recognizes that being charged with a crime is a frustrating, often overwhelming experience. Brian Boal provides individualized support and skilled legal representation to his clients during all stages of their criminal cases. You can count on having a knowledgeable and experienced legal advocate guiding you in the right direction, keeping you informed, and promptly dealing with the problems and issues in your case as they arise. Attorney Brian Boal will be at your side during all stages of your case, including the first appearance and filing of charges, the preliminary or probable cause hearing, arraignment, pretrial motions hearings and dispositional hearings, jury trials and/or bench/court trials, and sentencing. You will have an experienced and results-oriented advocate by your side every step of the way. With more than 20 wins at jury trial in criminal cases, you can be confident that you have an advocate in attorney Brian Boal who is battle-tested and prepared to take your case to trial if necessary. How Will Your Case Be Resolved? Over 90% of all criminal cases are resolved with a plea bargain instead of a trial. 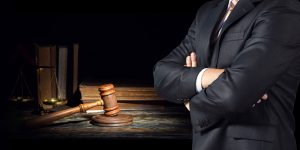 Plea bargains can be used to manage the outcome of your criminal case by accepting some responsibility and a known consequence that you can live with rather than risking a long jail or prison sentence following a conviction at trial. Attorney Brian Boal has extensive experience negotiating plea agreements that include jail (CJC) alternatives such as work release, in-home detention (IHD)/ankle monitoring, as well as prosecution alternatives such as the Neighborhood Justice Center (NJC), Adult Offender Services (AOS) programs, Department of Corrections (DOC) alternatives, including Community Corrections (COMCOR), in-patient treatment for alcohol and drug abuse, unsupervised probation, supervised probation and intensive supervised probation (ISP). He is a course graduate of the National Advocacy Center and skilled trial attorney, prepared to fight for your acquittal in court and make your case to the judge or jury. When your case is this important, it is important to have the right lawyer. Call at 719-602-2262 or email to discuss your case directly with attorney Brian B. Boal.